Importer: Air Comfort Products, a division of Emerson Electric Co., of St. Louis, Mo. Hazard: The ceiling fan’s hanger bracket can spread apart due to heat from the motor and/or out-of-balance operation, causing the fan to fall from the ceiling. This poses a risk of injury to bystanders. Incidents/Injuries: Emerson is aware of three reports of these Corsair fans falling from the ceiling. No injuries have been reported. 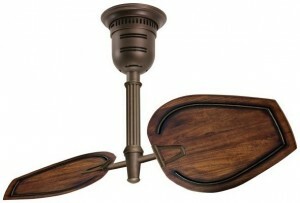 Description: This recall involves Emerson “Corsair” model ceiling fans with two blades and 44- or 52-inch blade spans. 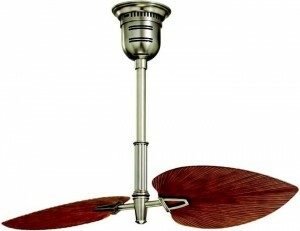 The fans were sold in two finishes, oil-rubbed bronze and antique pewter. Sold at: Fan and lighting stores nationwide and various websites, including www.emersonfans.com and www.amazon.com, from January 2009 through June 2012 for between $450 and $530. Remedy: Consumers should immediately stop using the recalled ceiling fans and contact Emerson Air Comfort Products to schedule a free repair.